Secret Super Bowl viewing at the Brewery? 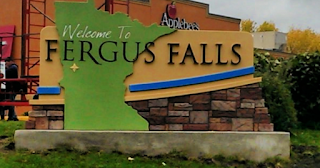 German magazine takes another shot at accurately profiling Fergus Falls - Fergus Falls came together to help Der Spiegel set record straight about city. 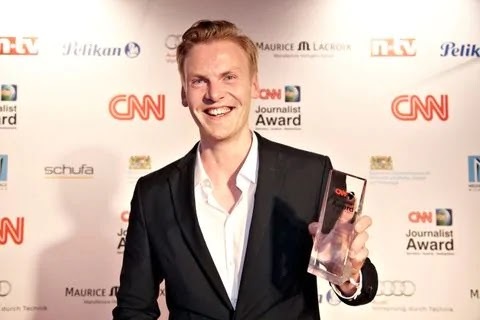 Just days after Der Spiegel went public with the news that Claas Relotius, an award-winning journalist, had made up a story out of Fergus Falls in March 2017, it sent its Washington, D.C., bureau chief, Christoph Scheuermann, to the northwestern Minnesota city to put together an accurate portrayal of the Otter Tail County community. After nearly four days of interviews, Scheuermann’s story was published online Sunday, and it provided a much different — and far more positive — account than Relotius’ fictitious version. “Scheuermann was able to do a much better job in the three days he was in town than Relotius did in five weeks,” said Michele Anderson, who spent the past 18 months fact-checking the original story. The trouble started in early 2017 when Relotius arrived to profile a rural Midwestern community in a county that had voted for Trump in the 2016 presidential race. The idea, Der Spiegel later said, was to give readers better insight into Americans. Relotius’ story ultimately included many falsehoods, among them — that he was greeted at the city limits by a sign that read: “Mexicans Keep Out.” Schierer said Monday that he found that whopper, stated in the opening paragraphs, the most offensive. The article then went from bizarre to just laughable, he said. Relotius fabricated names and descriptions of the city and in some cases, made up quotes. He inaccurately reported what movie was playing in town when he visited, described a Super Bowl party at a brewery that never occurred, and wrote that high school students skipped a trip to the Statue of Liberty in New York to see Trump Tower, when they didn’t. Schierer said he also took great exception to Relotius’ portrayal of City Administrator Andrew Bremseth, who the writer said wore a pistol holstered to his belt while at work. He also wrote that Bremseth had a stuffed wild boar in his office. Bremseth and others in the story contacted Der Spiegel shortly after the article was published to make the magazine aware of the mistakes. For the next year and a half, Fergus Falls residents Anderson and Jake Krohn fact-checked the 12-page article and notified the magazine’s editorial office in Hamburg of all the errors, but never received a response. After one of Relotius’ colleagues raised questions in November about his work, however, Der Spiegel said it investigated. The writer later confessed that he had invented entire passages and made up some quotes. 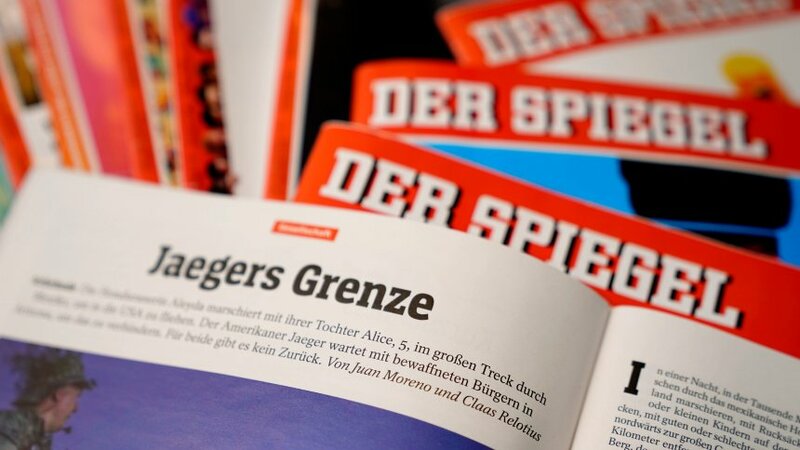 After Der Spiegel announced last week that Relotius had produced a series of false stories, Anderson and Krohn pointed out on a website the inaccuracies they had found. Anderson introduced Scheuermann to several people who had been misportrayed in the first story, including a fictitious man named Neil Becker. Relotius said “Neil” Becker was a hardworking coal shoveler at the local power plant. Scheuermann wrote about Doug Becker, who “ran a gym … for 34 years and is familiar with almost every airport in the United States”. Scheuermann also spoke with Maria Rodriguez, who initially was described as a Trump voter and restaurant worker suffering from kidney disease who was running out of money. He learned that Rodriquez actually is quite healthy, and operates a restaurant in Alexandria with her husband. She didn’t vote, she told Scheuermann, because she doesn’t have a U.S. passport and is ineligible to do so. Scheuermann said in a phone interview Monday that having to follow up on his former colleague’s mess was the worst assignment he has had in years. His article ran online Sunday. He said a longer piece will be published later this week. He emphasized that he wasn’t on a “diplomatic mission,” but still needed to find out what went wrong during the initial story. He said it was weird to walk around town and see a completely different picture of Fergus Falls. Scheuermann also didn’t see any hint of the prejudices that Relotius described. He called the fictitious story “a journalistic disaster,” and said he understood why Bremseth is still upset. Comment: Why I found this interesting this week and today in particular: Relotius' story was falsifiable! It could be tested and verified or invalidated. More on here. If I decided to start a religion, deceptively or not, I would not make false claims to recent historic events that did not happen. Why? Because I know those claims could be tested. Also, I would not give details about the time, place, and people involved. More than that, I would not invite contemporaries to investigate these claims. For example, if I were to say today that in 1965 there was a man named Titus who was born in Guthrie, OK and traveled about Oklahoma City doing many miracles and gaining a significant following, this could easily be falsified. I would not say that Mary Fallin, the governor of Oklahoma, along with Tom Coburn, US Senator from Oklahoma, had Titus electrocuted. I would not detail that the electrocution was in Bricktown on January 13, 1968 at 9am. I wouldn’t claim that Titus rose from the dead and gained a significant following throughout Oklahoma City which has spread across America. Why wouldn’t I make these claims as the foundation of my new religion? Because they can be easily tested and falsified. This religion could not possibly get off the ground. If I were to make up a religion, all the events which support the religion (if any) would be private and beyond testing. This is why you don’t have religions based on historic events. They are all, with the exception of Christianity, based on private encounters which cannot be falsified or subjective ideas which are beyond inquiry. The amazing thing about Christianity is that there is so much historic data to be tested. Christianity is, by far, the most falsifiable worldview there is. Yet, despite this, Christianity flourished in the first century among the very people who could test its claims. And even today, it calls on us to “come and see” if the claims are true. The only reason why I can say Christianity survived in the midst of such historic volatility is because it is true. And this is exactly what I would expect if there were an all-powerful God who created and loves this world. When he intervenes, he makes a significant enough footprint that historic inquiry is demanded. Think about that next time you are critiquing the Christian faith. The only reason you can is because it is the only religion that has opened itself up to such critique. Simply put, Christianity is the most falsifiable religion there is and yet it has survived. Why? 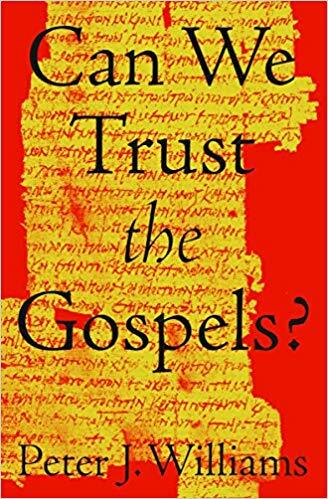 Related: I received for Christmas and am reading it today: Peter J. Williams, Can We Trust the Gospels?. Williams' book is about the Gospels and not the epistles! But consider this from 1 Corinthians 15:6, "he appeared to more than five hundred brothers at one time, most of whom are still alive," The witnesses to the resurrection, at the date of the writing (53-57 AD), were available to be interviewed!